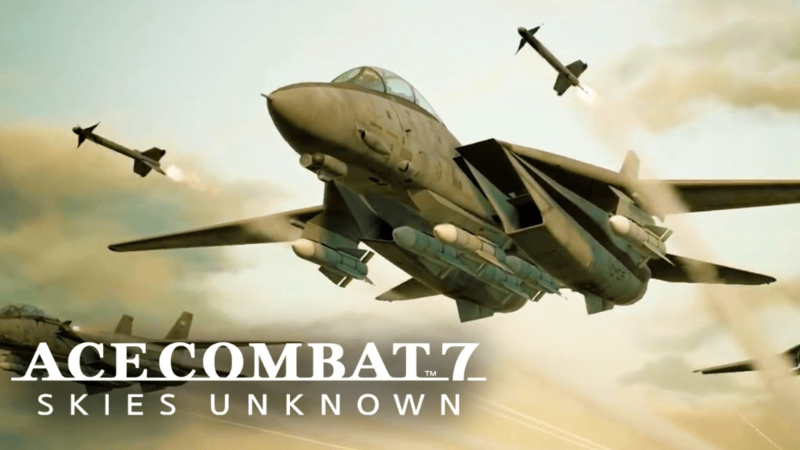 Ace Combat returns with its seventh instalment, Skies Unknown. Let’s turn and burn as we fly through the skies of Strangereal. The campaign is the first thing I visited as I love a good story in a game: multiplayer and everything else can come after. But, before you got yourself into the cockpit of one of the available fighter jets you obviously need to set up the controls. This instalment of Ace Combat was the first one out of the entire franchise that I have played, excluding a demo years ago. Even then, it was a lot easier to control the fighters with the expert controls rather than the simpler versions, as they gave you more control over your aircraft and allowed for easier manoeuvrability. In turn, this allows the player to gain a tactical advantage over the Non-Playable Characters (NPCs) that may not be possible with more basic controls. This time, the first mission throws you in the deep end as you start the game at the beginning of a war between the Osean Federation and Erusea. You learn how to fire your weapons – I wasted a few valuable missiles trying to figure it out – and work out if you need to invert your sticks on the controller. The weather conditions throughout the game really do impact the gameplay, which is really good as you can’t lock onto enemy ground vehicles in sandstorms unless you’re relatively close, or lock on enemy fighters as they fly through clouds. This makes you adapt to the choices that you make in-game: should you pursue them in the clouds and risk your jet icing up? Do you help your squadron fight off drones as you look for targets in a sandstorm or do you take the risk and fly low inside it? Under the campaign section, you also have the option to go on a free flight. This gives you around 25-minutes of free time to fly around and practice your skills as well as do whatever you want, like buzzing the tower. I found a few videos on YouTube and saw people doing some “post-stall manoeuvres” , which I thought I’d try out myself. I crashed. There are only two flaws I would have to pick out of this game in terms of its gameplay though: assisted landings and takeoffs and crashing into the environment. There should be an option within the game to make unassisted landings and takeoffs. Takeoffs yes, are easy in games, you just bring the jet up to speed and bring it up but landings are something else and there’s a sense of pride and accomplishment you get from knowing that you have landed the plane successfully. Instead, we have to deal with the computer taking some sort of control as you touchdown, bringing the nose up as you’re about to touch the runway. It seem a little detail but if I’m doing all the work to get it to the runway, I want to land it myself. The environmental damage to the plane does bother me. You could be flying at high speeds towards a large cliff at an angle and, because you’re not flying directly at it, the game will just bounce you off the object and throw you back up into the air. In reality, you should have died in some great balls of fire! I’ve only briefly touched on this in the game but I believe I have learned what to do. There are only a few modes, like the standard team death-match and the battle royale mode. In a battle royale, it’s not 99 people against you, It’s more like a free-for-all, where respawns are allowed and you have a target score to reach. It feels like the game puts more emphasis on the campaign than anything else. Once you get into a multiplayer game and you fly around heading towards the opposing team, you get some close shots and spend the rest of the match letting off countermeasure flares and spinning in circles to dodge incoming missiles from the other players; at any given time you may have four quick or long-range air-to-air missiles just on you – a definite feeling of ‘pick on the newbie’. However, it is easy to dodge the incoming rockets but, because it’s easy for you to dodge them, it means that it will also be easy for your target to evade them as well. Don’t be expecting to be the next Maverick! The game runs on the Unreal Engine which looks beautiful to play on. It gives a realistic look to what seems to be a mix between an arcade game and a flight simulator. From the raindrops, as you fly through clouds, to low visibility in a sandstorm, the game beautifully fades between the environments to give you a sense of realism: once your out and above the clouds, there are nothing but blue skies; if you go below, depending on the weather dynamics of that map/mission, it can be gloomy. At first glance, this game wasn’t what I was expecting. The campaign really entices you to play on: I found myself putting the controller down, watching an episode of a TV show and then jumping right back into the fight afterwards. The multiplayer, though, leaves much to be desired. Whatever you do in this game, like it or not, just make sure you land the plane afterwards. You don’t want to be writing cheques your body can’t cash!